Same great burp cloths you've fallen in love with, but now with super plush fabric for the design, the WOW factor is even better than ever. The applique is so soft you'll want to keep touching it and your sweet baby will love it, too. Don't see the perfect color combination? Let us know and we can do custom in stock colors for any design. Combine this burp cloth with a plush bib for a great gift set. 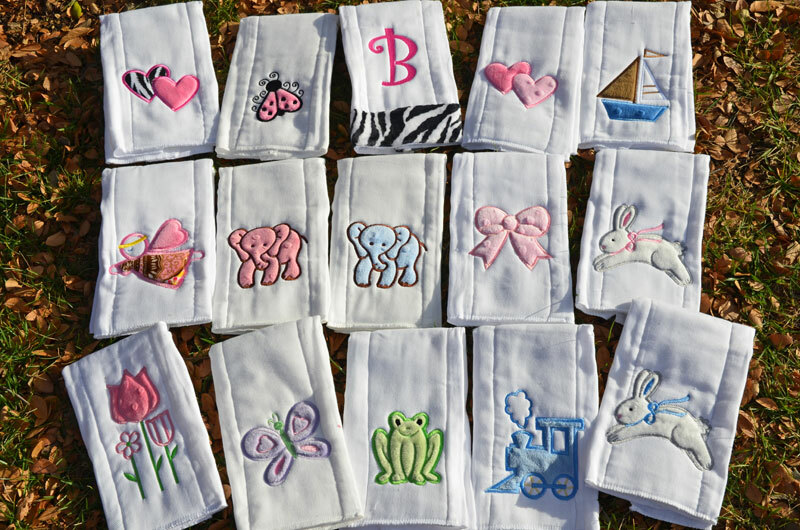 Be sure to get a custom monogram for super irresistability!